New research out of the University of Helsinki shows some of the fascinating and differing viewpoints medieval theologians had about the humanity of Christ. The doctoral dissertation ‘The Psychology of the Incarnation in Thirteenth- and Early Fourteenth-Century Theology’ was defended last week by Tuomas Vaura. 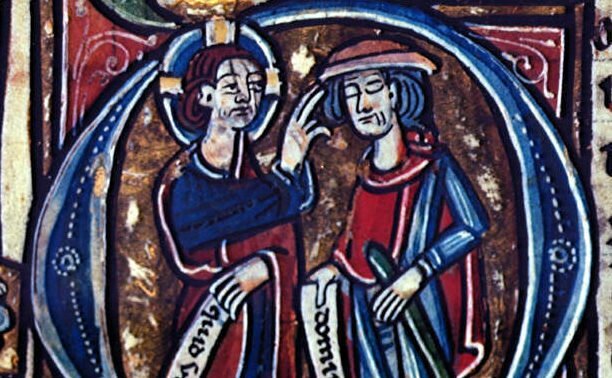 “Medieval theologians were not afraid to ask questions and strove to answer them primarily through logic. On the other hand, they were also aware of the limits of human understanding,” Vaura explains. Debates regarding the psychology of the Incarnation concerned the ability of Christ’s human aspect to know, desire and feel – his knowledge, will and passions. “It may seem strange for us to ask questions about how Christ felt about things, but medieval theologians did not find this odd at all. They would ask questions about the soul of Christ and didn’t hesitate in applying the latest psychological thinking of their time to answer them,” explains the doctoral candidate. The dissertation approaches the medieval debate about God who became human from the perspective of philosophical psychology. In the Middle Ages, philosophical psychology was a branch of natural philosophy. “The theologians took concepts from the psychology that was a part of natural philosophy and applied them to theological debates. On the other hand, concepts developed in theology influenced the prevalent understanding of the soul in the natural sciences,” Vaura says. Vaura has used contemporary sources to find indications of what kinds of feelings Christ experienced as a human, and how he was able to feel both joy and pain at the same time. According to the doctoral candidate, the social impact of the study is apparent in the Evangelical Lutheran Church of today. These debates could also benefit the spiritual tradition of the Lutheran Church. “There is much talk in the Church about following Christ, but not so much about what kind of Christ we follow. A more comprehensive knowledge of Medieval theology could also help the Lutheran Church in its ecumenical relations with the Catholic Church,” Vaura points out. The dissertation is available in an electronic format through the E-thesis service.